A winner or two worth reminding you of at Galway, Goodwood and beyond! @talkinhorses_ie: Co Kilkenny owner/trainer Kevin O’Donnell wins @Galway_Races with Sophie’s World by Captain Rio @BallyhaneStud for Sean Corby at 14/1. @talkinhorses_ie: @LizDoyleRacing based in Co Wexford strikes gold with Cacheofgold @Galway_Races with @JohnnyBurke2 at 12/1. 28th Galway (e), 29th Galway (e), 30th Galway (e), 31st Galway , 1st Galway (e), 2nd Galway, 3rd Galway. A letter for GALWAY in six easy steps! Galway has built up a reputation as a must do racing venue for just about anyone that can still draw a breath. Its mixture of racing, fun and a great social scene has seen the festival develop into a major tourist attraction on the west coast of Ireland. With the Galway Plate on the Wednesday and the Galway Hurdle on the Thursday these two races have long been seen as iconic “must win” races for many owners, trainers and jockeys. Some good horses have won both of these races over the years with more than one winner racing proudly onwards at even more illustrious venues in Ireland, Britain, France , United States of America and Canada to name but a few. Now , not all of these horses won the Plate or Hurdle but other races have been added to include the Topaz Mile (previously known as the McDonagh Handicap, Corrib Fillies Stakes in addition to some really nice handicaps and quality two year old races that have seen the winners race with success elsewhere. So what of this year? To be honest , it’s a pure lottery with multiple chances held by many a horse, so as is now custom I will give you a letter for GALWAY in six easy steps, but don’t risk the house on any of them ! Gambling Girl is a 5 year old daughter of Hawk Wing trained in Co Kildare by Jessica Harrington and will be ridden in the Connacht Hotel Qualified Riders Handicap in the Monday evening highlight by Kate Harrington. This mare won a Grade 3 Hurdle at Down Royal under Robbie Power in November of 2013 having won a bumper prior to this. Her form seemed to taper off after this when tried at the highest level in novice hurdle company against the likes of The Tullow Tank. Returning on the flat at the Curragh she has put up a number of notable performances in the meantime including winning at Leopardstown and being placed at Killarney, enough to merit support in this very competitive race. With a field of quality amateur jockeys facing Kate Harrington , the young Kildare woman, fresh from her win at Ascot over the weekend won’t be fazed by any one of them! Alelchi Inois has an entry on Thursday in the Guinness Harp Novice Chase over 2 miles 1 furlong. Trained in Co Carlow by Willie Mullins he is likely to be part of a big enough team heading daily to Ballybrit from his Closutton yard. The French bred 6 year old son of Night Tango a hurdle winner in France and in Ireland has already won twice over the bigger obstacles, at Tramore and Killarney having switched to that code for the 2014/15 season. It looks likely that he will be campaigned until the winter ground returns, but Mullins will have a couple of other contenders in this novice chase category so just where they all race will depend on himself. Owned by Margaret McMahon, the horses only entry this week, from what I can see is Thursday but he might just be given another one on Sunday if he is eligible, but no matter where he runs he looks a likely sort. Little King Robin is a tough mare trained in Co Wexford by Colin Bowe from his Kiltealy yard just outside of Enniscorthy. A former point to point winner , this 6 year old daughter of Kings Theatre has been showing wonderful versatility to have also won over hurdles and competed at the highest level including a shot at Quevega at Cheltenham in March 2014. While falling just a little short on that occasion she has some nice placed form in Graded races over hurdles at Down Royal and Tipperary, but her entry this week is actually on the flat at the festival meeting! Bowe is a fairly shrewd trainer so this entry far from speculative following a third place at Tramore in a similar contest under Rachael Blackmore in May in the colours of Marie Kavanagh. They will be potentially taking on a couple of likely sorts from Dermot Weld and Aidan O’Brien’s yard in the shape of Forgotten Rules and Thomas Wedgewood so the 1 mile 4 furlong contest could be a tight affair. She may just be a decent price if Bowe lets her run! Wood Breizh is another horse from the Willie Mullins yard that catches the eye, with the Stormy River 4 year owned by the Supreme Horse Club holding an entry in the concluding 2 mile flat handicap for horses rated between 55 and 80. The French bred is unlikely to be classed among the premier division of horses that Mullins has in his yard but he is capable of winning a race or two. He has a bit of placed form in both codes. Campaigned over hurdles the Tramore hurdle winner in April has a 2 year old win to his name on the flat in his native France and could well be the bet for Tuesday. Art of Logistics is my long range choice for the Galway Plate on Wednesday. It’s a purely tentative choice as I am not at all sure that Dessie Hughes will send the 6 year old from his Curragh Co Kildare base to challenge for the €120,374 first prize. This son of Exit To Nowhere has been highly tried over the winter including an unsuccessful run at Cheltenham and defeats by Defy Logic and Don Cossack. He has however managed to pick up a pot or two himself during this time and he would be a worthy challenger on the day. It’s a hot renewal of the race with JP McManus holding an entire flotilla of entries at this stage. With the ground likely to be at worst described as good, it will take a horse, that can jump quickly and is capable of avoiding traffic problems to prosper in the Wednesday evening highlight. Art Of Logistics might be the answer. Yulong Xiongfeng represents the Y of Galway and he actually runs on Monday night for Eddie Lynam and Zhang Yuesheng. This 2 year old will be ridden by Billy Lee with the son of Showcasing among the 8 declarations. With the three big yards of Weld, O’Brien and Bolger all represented with Postulation, Jamaica and Vocaliser respectively this 7 furlong race could be a very difficult one to win. Galway has had a bit of a reputation as a nursery ground of horses that have gone on to even greater success, with Dermot Weld sending out future Group 1 winners Go and Go, Market Booster and Grey Swallow at this meeting. So Lynam and Lee might struggle here, but some of those other horses might be worth a look see. That’s a letter for GALWAY in six easy steps! 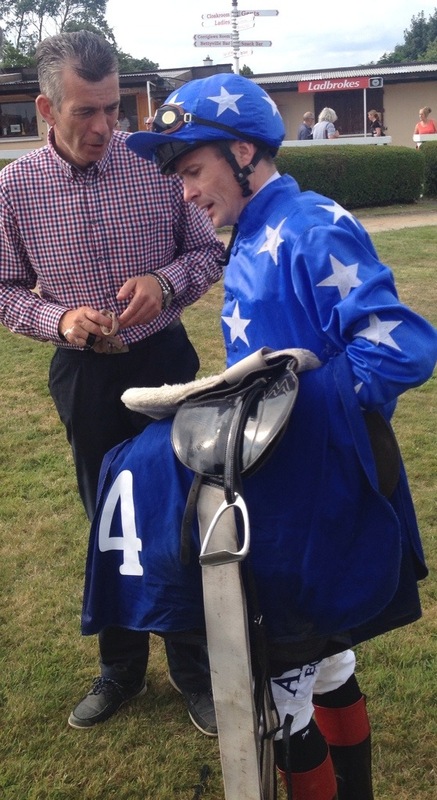 Smullen Stars on Ladies Day with Brunker, Heffernan and The Queen at Wexford. Day Two of the pre Galway racing festival at Wexford saw a significant treble for Pat Smullen on a tricky card brightened up by Ladies Day, Littlewoods Ireland, Amanda Brunker and Margaret Heffernan. With an all flat card on offer the ground good, good to firm in places seemed to race a little on the dead side having been watered during the week. This may have been the reason as to why only one winning favourite was recorded on the day, the even money chance Bogardus but all bar one of the other six winners were well supported giving some respite. With this race meeting being the only and last one before the start of the Galway Festival it had all the look and feel of a mid week industry day, with a small enough crowd for a Saturday fixture, no live link to At The Races, the competition of the King George VI and Queen Elizabeth meeting at Ascot and constant chatter about the upcoming hurling match between Wexford and Limerick all taking the focus off the racing at Bettyville. Pat Smullen was the star turn on the afternoon as the former Irish Champion Flat jockey recorded a fine treble with wins on Empress Toorah, Renown and Hunting Tower. Smullen the long time stable jockey to Dermot Weld is making a bold bid to regain that jockeys title from his wife’s nephew Joseph O’Brien with this treble putting a gap of 14 winners between Smullen and the reigning champion. Its only the end of July so there are a lot of fixtures between now and the end of the season and with a significant number of 2 year olds still to run from Ballydoyle, Smullen will need more than just Dermot Weld’s yard to provide him winners, just as he did at Wexford with Sabrina Harty and James Lambe chipping in a winner a piece. Holy Roman Emperor was a very good two year old for Ballydoyle who was shuttled off to stud as a three year old to replace the Coolmore stallion failure George Washington. His stock have been a success since hitting the track and he added another winner to his list with Empress Toorah winning for Pat Smullen, Sabrina Harty and winning owner Margaret Nevin. Smullen popped her straight into the lead once the gates opened and they made every yard of the running over the 1 mile 100 yard trip of the Irish Stallion Farms European Breeders Fund Fillies Maiden to upset the favourite Celestial Fable and win at 7/2. Famous Name is a 21 time winning son of Dansili owned by Kahled Abdullah of Juddmonte Farms Ltd, trained by Dermot Weld who now stands at the Irish National Stud. A standing order for many years in Group and Listed races in Ireland , Britain and France it remains to be seen if his three parts brother, Renown can reach such heights but he started on the right course when making an impressive looking racing debut in the Littlewoods Ireland Ladies Day Maiden in the same colours . Racing in fifth place for most of the 1 mile 3 furlong trip behind Hurricane Volta the 3 year old son of Champs Elysees came through in the last furlong to go past the favourite, Sindarban and score by a very cosy length at 7/1. Speaking afterwards the winning jockey Pat Smullen commented “He is very laid back, he stays better than Famous Name and he only has another 20 wins to equal him. But it’s a good start and hopefully he will progress” This gelding will not have a career in the stallion sheds so it will be interesting where the Juddmonte team place him into the future. James Lambe made the trip down from Co Armagh with a small team of horses and took the last race the 2 miles Gorey Handicap with a resurgent Hunting Tower winning at 9/2 in the hands of Pat Smullen. The 10 year old son of Sadlers Wells, bred by none other than Queen Elizabeth, won a 2 year old maiden for Richard Hannon at Brighton 8 years ago and having won seven races in the intervening period over hurdles and on the flat his ninth win was posted here. With Dat’S The Plan and Katys Girl cutting out the running, Smullen bided his time in the ten runner race to come through and win by a neck. Commenting afterwards Lambe noted “He got an excellent ride today from Pat, the yard is in good form and it was worth the trip down. Pat really got a tune out of him today.” Back in Lambes yard for the past 4 months, there are no immediate plans with perhaps an entry at Galway next weekend a possibility. With the Queen of England breeding a winner on the day another notable lady or two were at the track as Amanda Brunker hosted the Littlewoods Ireland Ladies Day with over 100 colourful women and their outfits brightening up the day. Patrick Prendergast has a good strike rate of late with the Co Curragh based trainer sending out three winners from his last three runners. The third of these came in the Amanda Brunker Judges Littlewoods Ireland Ladies Day Rated Race when the Richard Barnes owned Bogardus opened his account on turf when winning by a neck from Johnny Murtaghs Sea The Stars filly Calorie. Home bred by the American based Barnes at his Grangecon Stud in Co Wicklow the son of Dalakhani was 15 lb better off with that horse from their last encounter at Dundalk and needed every ounce to beat her here by a neck at even money. With all the talk of fashion it was fitting that Margaret Heffernan of Dunnes Stores fame got in on the act with her horse Cin Cin, an Exceed and Excel 4 year old filly winning the 1 mile 3 furlong Slaney Handicap under Emmet McNamara. Trained by her husband Andrew, the filly according to the winning trainer “Has as not been running well, so we tried her in cheekpieces today. We won’t go to Galway but we might head to Tramore next month” Bred by Mrs Heffernan’s brother Frank, this was very much a family affair for a small yard with five horses in training. 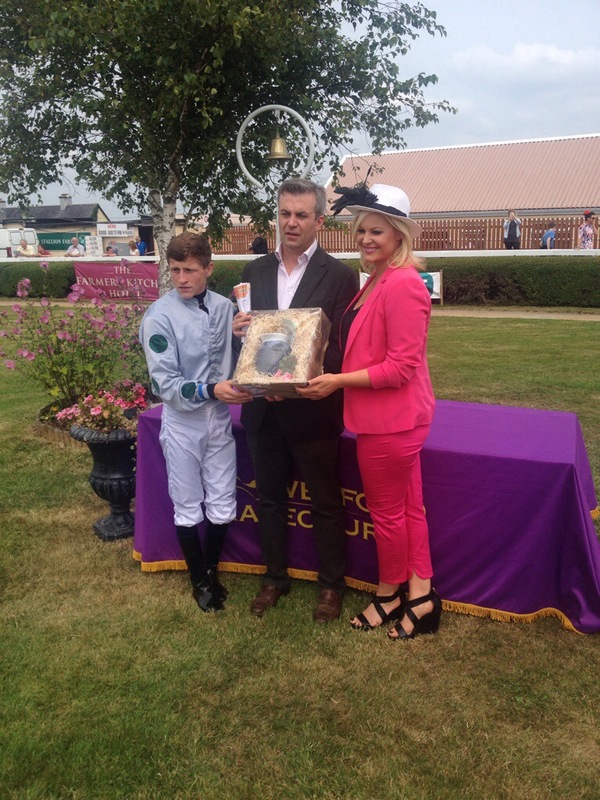 Aidan O’Brien supplied two of the jockeys in the Wexford Racecourse on Facebook Apprentice Handicap with his daughter Ana riding Action Master for James Lambe and Aidan himself sending Duarte Fernandes to his local track ridden by his son Donnacha O’Brien. None of the two young O’Briens got a shout in at the business end with Donnacha involved in a 2 horse melee on the turn into the straight with 3 furlongs to go. The winner here was a 4th success for Adrian Keatley who won with Carraroe Flyer for Sean Corby. This 4 year old daughter of Sintarajan will now head to Cork following this 14/1 success. The final winner of the day was Fran Berry for David Watchman with An Fear Ciuin. Racing in the colours of JP McManus, the 3 year old son of Galileo pretty much made all the running to win at 11/4 and provide a rare flat win at Wexford for McManus. The 1 mile 3 furlong trip seemed to suit and this horse will most likely be seen over hurdles at a later stage. Get More makes the headlines for Slevin! 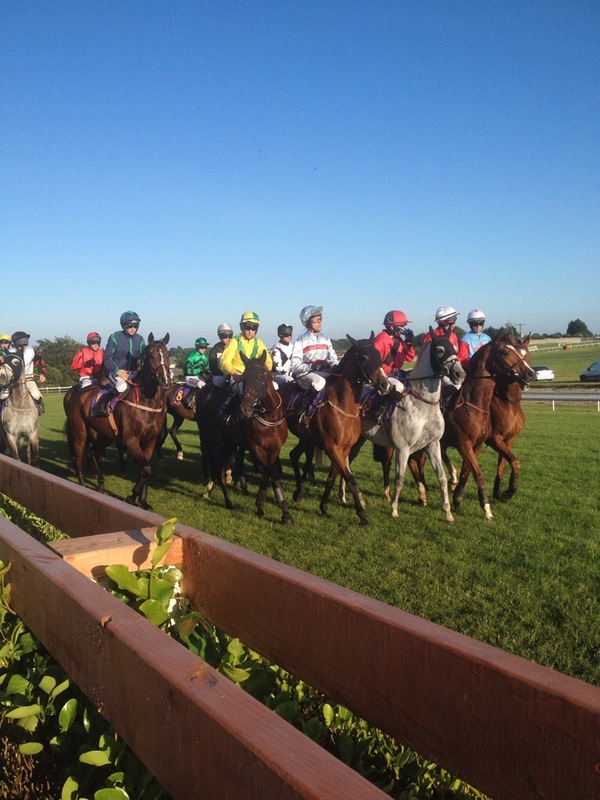 The two day July meeting at Wexford got underway on the Friday evening 25th in glorious sunshine on a 7 race all National Hunt card. With the ground good to firm in places it seemed to offer ideal jumping ground for our national hunt horses as the very large attendance enjoyed a good evenings sport with three winning favourites. The highlight of the evening was the JP McManus sponsored Martinstown Opportunity Handicap Steeplechase, run over 2 miles 3 furlongs it resulted in a great local win with Shay Slevin’s Kiltrea ,Enniscorthy yard winning with Get More in the colours of Co. Westmeath based Michelle Ryan. With Old Supporter attempting to make all the running under Brian Hayes, Patrick Corbett had the 7 year old Milan horse towards the rear and only came into the reckoning after the second last. With All Fired Up attempting to see off the flattering Imperial Joey , Corbett surprised them all to win at 14/1. An obviously delighted Slevin family were celebrating with their owner in the winner’s enclosure with the winning trainer taking the time to state “He got a good ride, they stuck at it well, he will improve for this, and we will stay handicapping”. The winning owner Michelle Ryan is an important part of the Slevin operation with 15 horses in training, but she enjoys the sport immensely as it is a good break from her wholesale business which she operates throughout Ireland. The other two Steeplechase’s on the card all seemed to turn into a bit of a farce however. With the Saltee Islands Handicap Steeplechase in particular seeing only 4 of the original 13 declared finish following 2 late withdrawals. The winner here was Best Value for Michael Darcy with the 7 year old Helissio gelding who has been mixing it over hurdles of late leading all the way to beat Jansboy at 6/1 co favourite. The local hope here Yvonne Latta’s Most Chaste was pulled up by Davy Condon with indications afterwards that the ground was too fast for her. Nagle stated that the plan was to head to Galway for a 3 mile Handicap Hurdle on Sunday. A lot of horses pulled up in this race with only 5 horses still running 6 fences from home putting a question mark over the reliability of the form in my view, but hey a win is a win and Nagle won’t worry ! The Mares Beginners Steeplechase sponsored by Easy Fix Rubber Products saw 13 starters but 4 of them had already left the contest by the 2nd fence with 3 falling at the first including Michael Winters Silver Chief and his Missed Cloud falling at the 2nd. With Ger Fox being injured early in the day, Brian Cawley got a late call up from Denis Hogan to ride Dedoctorsdaughter for the Wildcats Syndicate. This 7 year old Doctor Massini mare bred by John Bowler of Co. Clare (one of the Wildcats Syndicate) was always pretty close to the action. Cawley indicated afterwards “It was a weak race, she was entitled to it, she was fit and healthy beforehand and the others didn’t just get competitive”. Her winning owners from Tipperary and Clare indicated afterwards “She needed good summer ground and we will race on with her”. Racing opened with the http://www.wexfordraces.ie Maiden Hurdle where Norman Lee saddled the Paul Mullins home bred gelding Bashful Beauty to win under Adrian Heskin. With Hard Fought setting a furious gallop upfront under Paddy Kennedy Heskin didn’t panic and he reeled in the leader before the last and held off Liz Doyle’s Cashofgold. Co. Galway based Lee commented “We fancied him today, he is a good little horse that won a point to point with Jamie Codd. He will go to Galway next week for Friday or Sunday”. This 7 year old High Rise gelding has a nice bit of form to his name and he might be worth keeping on the right side of. Phelim Byrne provides the restaurant services at the track and he sponsored the 2 Mile 4 Furlong Handicap Hurdle which went to Old Theatre Royal for owner/trainer Lorcan Donnelly, this 9/1 winner was well ridden by Kevin Sexton who jumped off into the lead at flag fall and nobody got past him. Donnelly who is now based in Co. Wicklow is originally from Gorey, Co. Wexford has only 4 horses in training and will send this 9 year old son of Kings Theatre to Galway if he stays sound. This race was always between Old Theatre Royal and Orion’s Might, with that horse falling at the second last leaving the favourite Kinneagh Cross to attempt to reel in the leader but to no avail. Sexton must take credit for a very well judged ride here and he continues to bloom as a 5 pound claimer. 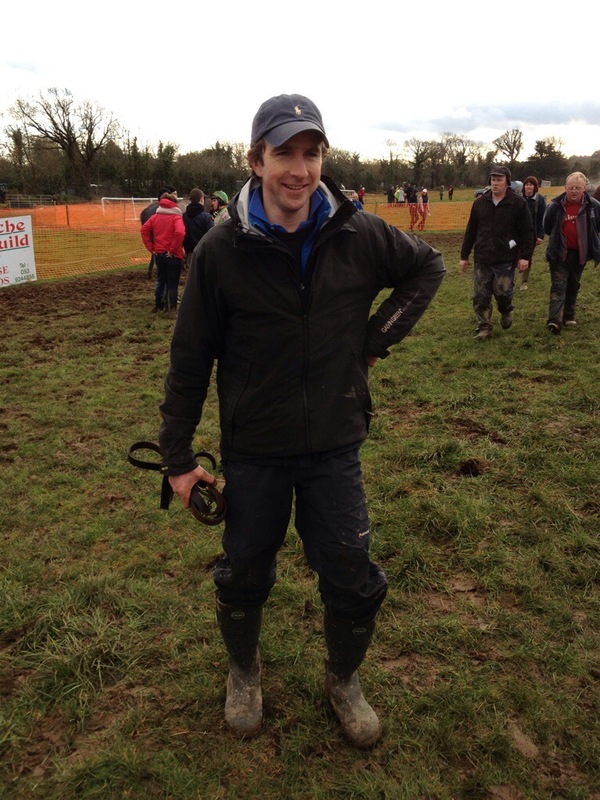 Co. Kilkenny based trainer Thomas Walsh has been coming to Wexford for quite a few years now. Having saddled his first winner at the track in 1959, he saw their home bred Springfield Grey take the Littlewoods Ireland 3 Mile Handicap Hurdle ridden by Shane Crimin. Lar Byrne’s locally trained Key Account was sent off to the front by Martin Ferris and they continued to lead until passed by Springfield Grey who stayed on stoutly to defeat Milan Ridge for Colin Bowe and Patsy Farrell. Walsh and his wife Joan indicated afterwards “This is the only horse we have in at the moment, we took a chance in running him here, but we were confident that he would win if in form”. The concluding bumper saw a very nice field of 16 mares face the starter with success here going to Co. Waterford based Riche Kiely on Cruisingdownriver for Phillip Fenton. This 4 year old Milan mare had run here in June and built on that promise to take her first race in the colours of Youghal owner/breeder Jerry Russell . Russell father of well known jockey Davy was a little concerned afterwards as the filly had to be dismounted before returning to the winner’s enclosure putting a little dampener to celebrations. Fenton indicated afterwards “We are a little concerned; we will have to bring her home and investigate”. This race was sponsored by the Acquired Brain Injury Ireland Charity which saw a number of notable celebrities playing hurling on the track earlier in the evening, thankfully none of them will be lining out for Wexford in the near future! Keeping an eye on Tom O’Brien and a little more news from the Twitter machine. 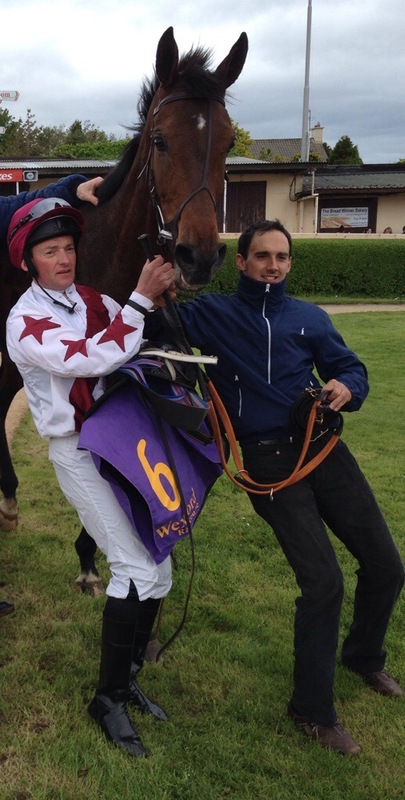 @talkinhorses_ie: Tom O’Brien wins @Southwell_Races on Mile House for Robert Stephens at 16/1. Former pt2 pt winner for Co Wexford based and family members JJ , Shay and Liz Slevin @MarkSlevin . 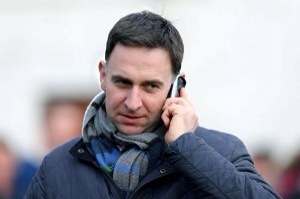 @talkinhorses_ie: Co Wicklow trainer Peter Croke wins first time in GB @Southwell_Races with My Betty for Maurice Sheehy. Ridden by@AP_McCoy at 13/8 fav. 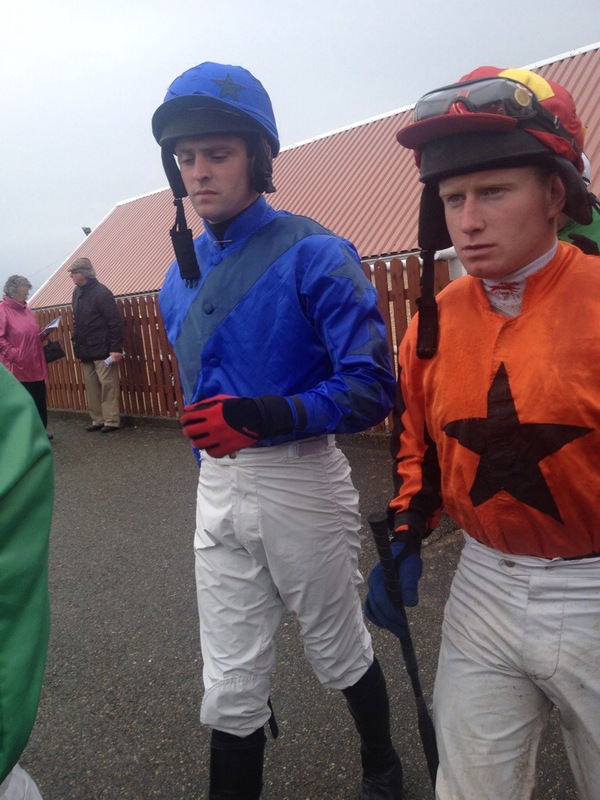 @talkinhorses_ie: Donnchadh Doyle @farmerdoyle1 @donaldmccain and James Cowely strike @BangorOnDeeRace with former pt2pter Valleyofmilan at 9/2. @talkinhorses_ie: Royal Shot wins @BallinrobeRaces for trainer/jockey @d_g_hogan bred by the Doran family at Parkville Stud Co Wexford by King’s Theatre. @talkinhorses_ie: @BallylinchStud Co Kilkenny breeds @PatFlynnRacing winner Hangar Five @BallinrobeRaces with Co Waterford Jockey Ian Queally in the saddle. 21st Ballinrobe (e), 22nd Ballinrobe (e), 23rd Naas (e), 24th Leopardstown (e), Limerick (e), 25th Down Royal (e ),Wexford (e), 26th Wexford. 25th Goresbridge Mixed National Hunt. Just a little Tweet before bedtime! @talkinhorses_ie: Kool Kompany strikes in France for Hannon/Hughes for Group 2 win for JEREMY sire @IrishNatStud standing at Garryrichard Stud Co Wexford. @talkinhorses_ie: @tipperaryraces winner for Co Kilkenny based Garrett Power and Brian O’Connell with Lilly The Lioness at 4/1. 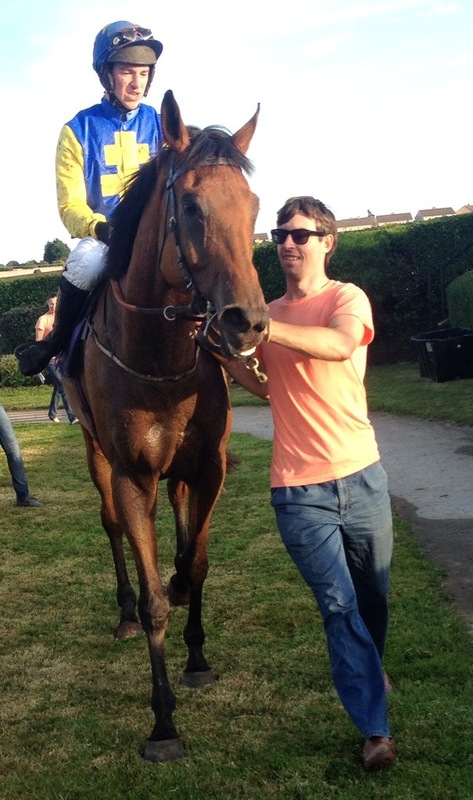 @talkinhorses_ie: Macbride completes bumper treble @tipperaryraces for Sarah O’Brien @aobrienfansite and JP McManus. @talkinhorses_ie: @stratfordraces winner Sur La Mer for @Dannskelton Harry Skelton by Garryrichard Stud Co Wexford stallion Craigsteel expt2pter for JA Berry. 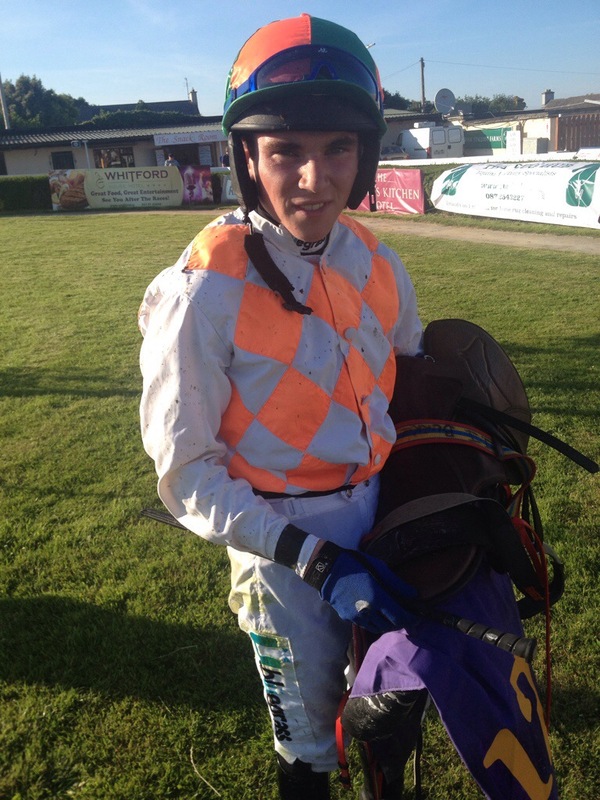 @talkinhorses_ie: Pt2Pt winner One More Tune by Luso bred Frank /Nick Sinnott @WexfordRacecour wins on debut @NewtonAbbotRace for @Nick_Scholfield PHenderson. Let them race on, well done to all on the Sizing Europe decision. It is always a strained and complicated decision to make as where and when a horse should be retired from racing, showjumping , hunting, hacking or whatever. This becomes all the more difficult in the racing world particularly when one such horse is well known and highly successful over the years and is named Sizing Europe. The 12 year old son of Pistolet Bleu signed off on his 2013/14 campaign with a wonderful Grade 1 success at the Punchestown Festival bringing his career total to 21 wins of which 16 were Graded races over fences and over hurdles. Racing since 2006 he has been wonderfully well handled by Co Waterford based Henry De Bromhead during these years and has contributed just under £1.3 m (stg)to the Alan and Ann Potts fund. The Potts family and De Bromhead announced during the week that Sizing Europe would return into training after his summer break for the 2014/15 with a tilt at the PWC Grade 2 Steeplechase contest at Gowran Park the first objective. Already a three time winner of this 2 mile 4 furlong Chase run at the Co Kilkenny track each October they see this as the first target for Sizing Europe which future races to be decided after this. Simply put, Sizing Europe ran a very creditable fourth beaten just 9 and ½ lengths by Sire De Grugy in the Champion Two Mile Chase at the Cheltenham Festival in March and this was was followed by a Grade 1 victory in the Boylesport.com Champion Chase at Punchestown in April. The chances are that has not deteriorated one iota in the interim, so why would his connections retire him from racing? No reason whatsoever can be given in my view, it just seems to me that it’s either a kind of romantic notion to see him retire on a winning note or it’s another example of daft ageism surfacing this time in the equine world! He really never needs to win another race as his place in racing history is safe and at 12 years old he is in particularly good order and racing better than some half his age! Over the past few months I have noted the victories of older race horses recently and history is littered with horses who have raced on and on with success, both over jumps and on the flat such as Tied Cottage and Vintage Crop with many living on to wonderful retirement . So well done to De Bromhead and Mr and Mrs Potts on this move, my only fear is that those forces not in favour of the decision will be only waiting to see the negative in the move but its your call and you have made the right one! The real story would be winning the Irish Oaks not just riding in it!!!! I know, I know its being spun as a big “girl power” story this week , with Ana O’Brien taking the ride on Beyond Brilliance in the Group 1,Darley Irish Oaks at the Curragh but in truth its pretty much a non story or event in my opinion. 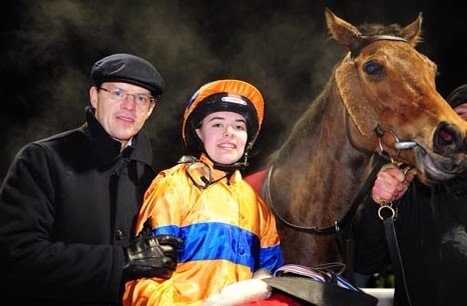 Anastasia O’Brien is the 17 year old 7 lb claiming daughter of non other than Aidan O’Brien of Ballydoyle fame and her mother Ann Marie, a Crowley from Co Kilkenny. This would in breeding terms make her a “full sister” to the Group 1 winning jockey and Irish champion jockey Joseph O’Brien ! So she is likely to get better and better…..
She will get the leg up on Beyond Brilliance in the Group 1 classic, who is trained by her father Aidan, owned by her mother Ann Marie and bred under their bloodstock breeding banner, Whisperview Trading Ltd. So if this young woman was ever going to ride in an Irish Classic with all of these connections she wouldn’t have to have looked very far! The chances are she will ride in all the Irish Classics in the next couple of years, so are we going to have the same storyline for everyone of these???? She is not the first young woman to ride in an Irish Classic, as from my memory Joanna Morgan has that honour , way way back in the 1970’s when partnering the Seamus McGrath trained Riot Helmet in the Group 1 Irish Derby. She was also the first woman to ride at Royal Ascot, the first woman to beat the great Lester Piggott on the race track, the first woman to ride a winner as a professional jockey in Ireland and a true pioneer of racing. In addition to her, Cathy Gannon was a champion apprentice in Ireland 2004 with Hayley Turner , Kirsty Milzarek and the Group 1 winner Alex Greaves plying their trade with considerable success in Britain . Of course the national hunt world has long seen the likes of Katie Walsh, Nina Carberry peform recently with former jockeys Ann Ferris and Rosemary Rooney, racing and winning at the likes of Cheltenham and Fairyhouse with success including in the Irish Grand National . Anyone of these women has already broken through this glass ceiling in racing in far more difficult times and circumstances. Beyond Brilliance is currently quoted at 50/1, with the 3 year old daughter of Holy Roman Emperor a , one time winner, has a bit of Listed placed form over a mile and enjoys the good to firm ground on offer. As the outsider of the five Ballydoyle runners the real story would be a win in the race not just riding in it!